In theory, companies enjoy perpetual succession. In reality, however, companies usually do not last forever. A company with the most optimistic business prospects is still subject to business risk, and may not anticipate cash flow problems. In 2017 alone, 168 Singapore companies were wound up and placed in compulsory liquidation. More recently, bike sharing operator oBike unfortunately shocked consumers with an announcement of voluntary liquidation in the face of mounting financial problems. As a business owner struggling with outstanding debts, you may be considering the option of winding up your company. An insolvent Singapore registered company who is unable to regain its footing may be dissolved, so that its creditors are repaid some of what they are owed. If your company is otherwise healthy, it may still be dissolved if its members do not wish the business to continue. Here, winding up or liquidation is a process of dissolution where the assets or proceeds of a wound-up company are used to pay off creditors. Any balance is distributed proportionately amongst the shareholders. This article describes how a shareholder or creditor may enact the dissolution of a company under the Companies Act (“the Act”). A voluntary winding up is initiated by the company taking steps to pass a special resolution with 75% shareholders’ approval. The winding up commences on the passing of the resolution. In a members’ voluntary winding up, the directors must issue a solvency statement. Otherwise, the creditors will be at liberty to appoint a liquidator for the company in a creditors’ voluntary winding up. You may initiate a members’ voluntary winding up, by having the directors make a declaration of solvency in accordance with s 293 of the Act. Creditors will be paid in full if the company is solvent. As a residual owner of the company, you and the members are entitled to direct the course of liquidation, by appointing a liquidator. A written statement made not more than 5 weeks before the passing of the winding-up resolution. It states that the directors have inquired into the affairs of the company. The directors must have formed the opinion that the company will be able to pay its debts in full within 12 months after the commencement of the winding up. The declaration must be made with reasonable grounds – that the company will be able to pay its debts in full within the stated period. Otherwise, the directors who made the declaration will also be guilty of an offence under s 293(4) unless they can show that they had reasonable grounds for making it. If the declaration is found to be false, the appointed liquidator will summon a meeting of creditors, whereby the creditors are entitled to appoint another person to be the liquidator. The winding up will then proceed as a creditors’ voluntary winding up. Since the company is solvent, creditors will be paid in full. As residual owners of the company, you and the members are entitled to direct the course of liquidation, and can appoint the liquidator. You may initiate a creditors’ voluntary winding in the same manner as the above by passing a resolution at general meeting. Unlike in a members’ winding up, the directors do not have to make a solvency declaration. This is often resorted to when a company is unable to meet its liabilities. Since the company is insolvent, creditors’ claims will not be met in full. A creditor’s meeting must be summoned on the same, or next day as the company’s general meeting, to appoint a liquidator. In most situations, the company itself will appoint a liquidator, subject to any preference the creditors may have as to the choice of liquidator. judicial manager appointed under Part VIIIA of the Act. the court is of the opinion that it is just and equitable that the company be wound up. A company is often compulsorily wound up because it cannot pay its debts. In view of operational cash flow issues, this situation is not triggered by merely the fact that its liabilities exceed its assets. A company is regarded as unable to pay its debts, only if creditors substantively prove this to the satisfaction of the court. Otherwise, a creditor who is owed more than $10,000 may serve a demand (known as a statutory demand) on the company at its registered office requiring payment of the sum due. If you do not pay, secure, or compound the claim within three weeks, your company will be regarded as unable to pay its debts. On that basis, the creditor is entitled to present a winding up petition. Alternatively, a judgment creditor (one who has obtained judgment against your company) who is not paid is entitled to claim against the assets of your company. To be paid, the creditor may seize and sell the company’s assets, or obtain a charging order against company property. If the creditor’s debts are still unsatisfied, your company will be deemed to be unable to pay its debts. Following a winding up application, your company can operate, but with severe restrictions. Any post-application transfer of property is invalid unless validated by a court order. [12The directors of your wound-up company will remain in office, but lose their powers. Following a winding up order, no action or proceeding may be commenced against your company or proceeded with, except with the leave of the court. Unsecured creditors must requisition for leave to proceed, which is typically granted on the ground that the claim raises issues that cannot be dealt with in the liquidation proceedings. Secured creditors are unaffected by this rule as they are proceeding against property which is deemed as theirs, and not the company’s. Depending on how winding up was applied for, a liquidator will be appointed by the court, members or creditors. If no liquidator is appointed by the Court, the Official Receiver shall be the liquidator. The liquidator has wide ranging powers to conduct the liquidation for the benefit of the company’s creditors. The liquidator will survey and realise the assets to distribute the proceeds to the creditors. Any balance will go to the members, including you. If the company is insolvent, the liquidator will also investigate the reasons for the failure, and whether to bring any action against errant directors guilty of any breach of duty. This is except in the rare occasion when the directors make a declaration that the company is unable to continue its business because of its liabilities, in which case the winding up commences on the lodging of the declaration with the Registrar where a provisional liquidator has been appointed: see s 291(1), (5) Companies Act. If you have any questions about winding up your business, you can get a Quick Consult with Lau Kah Hee or other lawyers. 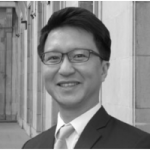 Kah Hee specialises in commercial and corporate litigation, and also teach Company Law at SMU as an adjunct faculty. With Quick Consult, from a transparent, flat fee from $49, a lawyer will call you on the phone within 1-2 days to give you legal advice.